Another time, about 600 years later another charismatic young man attracted a band of followers in an area by the Arabian Desert. At the age of 40, on a religious retreat in the mountains, he met the Angel Gabriel, who passed on to him the words of God, which he memorized and told his followers. Later on, some of his followers wrote these down in a book and called him a great prophet. Gabriel mentioned that God told him that he may have said some slightly different things in the past, but these were his final thoughts and he would never change his mind again. So Gabriel, who had acted as a messenger before (coincidentally, when he made a call to the mother of the man in Tale One), would now have to be made redundant. About 100 years later, some of the followers started writing tales that had been told about the prophet. These took the form of the words he had said, or the things he had done, as heard or seen by someone who had told someone else who had told someone else, and so on, before the last person wrote it down. These were gathered into another book. Nothing much happened for the next 1000 years, except for one thing that matters to our story. The followers of the prophet prospered and ruled over a vast empire. This, the Ottoman Empire, by the standards of its day, was ruled benevolently with toleration of all beliefs of the many different peoples of the empire. The followers of the man in Tale One, by contrast, broke into many rival, warring groups. These groups fought, persecuted and killed each other and were totally intolerant of the other groups and of people with different faiths to their own. The descendants of the people who had originally rejected the teachings of their great man were especially picked upon and persecuted and killed wherever they fled. About 300 years ago, another man, this time from central Arabia, studied all the writings produced by the followers of the prophet in Tale Two. He also saw all the other customs and practices which had grown up over the previous 1000 years. He thought these were grave sins and condemned them. He started to spread his ideas about taking the teachings of the prophet and paring them back to an imagined pure form. Some of his ideas were very cruel: he taught people to hate all those who disagreed with him and to kill anyone who changed their minds away from his own ideas. He said some pretty nasty things about women too: this was in marked contrast to the practices of the prophet, who had women in senior roles amongst his followers. This man’s fortunes changed when he moved to Diriyah and attracted the attention of the local tribal leader. They made a pact that they would help each other to bring the locals back to the “true” ways – or at least true in their own interpretations. These practices continued down the generations for about 100 years, but with little overall impact. All the neighbouring rulers thought their practices were a bit mad. About 100 years ago, things had changed. The great empire of the followers of the prophet crumbled and new empires grew. The rival leaders of these new empires fought a great war, for reasons nobody is really sure. Leaders of two great empires on the winning side, Britain and France, used their power to carve up the land in the Arabian Peninsula by drawing straight lines on a map. This produced new countries such as Syria and Iraq, whose boundaries bore no relationship to the culture, history and traditions of the region. The remaining warring tribes in the region fought each other for supremacy and land. The Anglo-French Declaration of 1918 offered self-determination to the Arabs: this promise was broken. Britain, above all, made various promises to these tribal leaders, only to break all their promises when it suited them, which it always did. This led to Britain gaining a – justifiable – reputation for duplicity in the region. The Americans were pleased with their coup, but they were not that bothered as they had plenty of oil of their own for their needs. The Saudis continued to rule their land according to the cruel and weird ides of the man in Tale Three. But they had all this oil, so everyone else pretended not to see the corruption and human rights abuses. It only affected a few Arabs. Another great war broke out about 75 years ago, this time for a good reason: to get rid of a great tyranny which had grown up in their midst. The Americans were able to make a great fortune from profiteering in war supplies to their allies. As a result, the average American was able to afford to buy a bigger and bigger car, which needed more and more oil to drive it. The Americans now needed to import oil from other countries and the Saudis had most of all. The oil producers formed a club whereby they could use their power to push up the price of oil six-fold. The Saudi princes (7000 of them) grew very fat on all this money and wondered what to do with it. Because of the secrecy, oppression of dissidents and lack of democracy and of the rule of law in their country, the Saudis were able to channel increasing amounts of money to groups all around the world. These groups sought to convert vulnerable members of the followers of the prophet to their cruel, violent and intolerant ways. All the governments of the so-called free world pretended this wasn’t happening. They didn’t want to upset the Saudis because they needed their oil. Yet all the time, these evil teachings were spreading like a cancer throughout the world. Matters came to a head on 11th September 2001 when a group of violent, deluded extremists committed the most audacious and deadly series of criminal acts in a single day. Most of the attackers were Saudi nationals. The leader, Osama Bin Laden, of the group responsible, Al Qaida, had close family connections to the House of Saud. Over 3000 people, mostly Americans, died in what the Americans now call “9/11”. By this time, a very silly person indeed, George W Bush (thanks to fraudulent vote-rigging in Florida aided by his brother Jeb) had become President of the USA, despite losing the popular vote. He decided to bomb and invade Iraq, whose tyrannical leader, Saddam Hussain, had embarrassed his father when he was president some years earlier. The pretext was a lie that Hussain had weapons capable of directly threatening the west. The coalition of the more-or-less willing who joined the Americans included Britain. The British Government, regardless of the party in power, had been under a long-standing delusion that there is a “special relationship” between the USA and Britain. In practice this delusion was maintained by the junior partner in the relationship promising to support whatever the senior partner did or told it to do. The Americans had their own delusions. After the fall of Hussain, the Iraqis would clamour to set up a US-style liberal democracy and groups would somehow emerge to bring this about. For, after all, who wouldn’t want to be just like America? It didn’t quite work out like that. The errors included a total lack of a plan for the peace and a destruction of the components of Iraqi civil society. In the vacuum that followed, disorder and corruption were rife. Many of Bush’s best friends were linked to companies who made a killing from the enforced privatization and contracts awarded. Even if they didn’t need it, the Iraqis were given a wonderful model of a corrupt administration and, indeed, that continues to this day. Thousands of fighters and civilians died in the ensuing chaos. The result was a catastrophic failure. Iraq is still a less safe place than before the US-led invasion: whether its human rights record is any better is a matter of debate. The ideas of Salafism, promoted around the world by money mainly from Saudi individuals, had led to the formation of many groups, who split and mutated. Best known in the west are the Taliban, Al Qaeda and now Daesh (or Islamic State, Isil or Isis, depending on preference). Each seems to be a more extreme and violent mutation of its predecessor. Bin Laden was tracked down by the Americans to Pakistan (a supposed ally) and executed. Any Christians involved in the decision were presumably persuaded by the effectiveness of the crucifixion in Tale One to stamp out his ideas. With each turn of the screw, as every new group exceeded the last in terms of brutality and inhumanity, some of the offspring spawned are now biting the hand that once fed them. In the eyes of the most swivel-eyed of the fanatics, the “repression with consumerism” approach of Saudi Arabia is seen as incorrigibly decadent. The House of Saud is finally wondering what evil it has unleashed on the world: the west stays silent. Western intervention in Libya turned another brutal dictatorship into a failed state. One consequence has been to make it much easier for criminal people-traffickers to use Libya as a base for exploiting desperate migrants trying to reach Europe and safety. An “Arab Spring” uprising and fledgling democracy in Egypt was brutally overturned. This led to complete U-turns in western diplomatic policy in the space of a year or two. Western duplicity rears its head again. David Cameron proposed to the UK Parliament in 2013 a bombing campaign in Syria to overthrow Assad, but was defeated by opposition from Labour and the Liberal Democrats. Which brings us to the present day. Syria, led by another brutal dictator, and traditionally supported by Russia and Iran, is a total mess. Following the crushing of a pro-democracy uprising in 2011, Syrian people took to the streets to protest. Violence escalated and the country descended into civil war. Rebel brigades were formed to battle government forces. By August this year, a quarter of a million people had died. Six million refugees from war were attempting to find places of safety and shelter, four million of them have left Syria, mostly into Turkey. Around 6% have attempted to reach Europe. Daesh have taken advantage of the situation to establish a “caliphate” in parts of Syria and Iraq, the border between them irrelevant. A US-led coalition has been bombing Daesh-controlled areas with some tactical advantages (such as disrupting the supply of oil to fund their operations), but with no significant overall success. Canada has announced its intention to withdraw their bombers. Russia started bombing in Syria, apparently targeting anyone opposed to the Assad regime – including Daesh. Following the Daesh-linked attacks in Paris on 13th November, President Hollande has significantly stepped up the rhetoric against Daesh and also France’s military operations. We now have a complicated multi-dimensional civil war with various foreign countries bombing different targets and a messy ground war without any ground troops from outside the country. In this complex situation, David Cameron is now trying to persuade the UK Parliament to vote for Britain to join those bombing Syria, but this time on the other side. Respected military figures and politicians from all main parties have doubted the wisdom of Britain joining the US-led bombing campaign. The proposals have many similarities with the situation in Iraq to rid the country of Saddam Hussain. Again, there is no strategy for dealing with the situation when, or if, Assad’s regime is toppled. In his address to the House of Commons, Cameron spoke of 70,000 “moderate” opposition groups who could somehow defeat Assad and bring a new, stable democratic future to Syria. These people live in a different part of Syria from that occupied by Daesh and are split into about 100 factions. This sounds horribly like a re-run of the 2003 mistakes. Only this time, the success of any military intervention seems even less assured as the current conflict is even messier than in Iraq. Both Conservative and Labour parties are split on this issue – although the rebellion is much smaller on the Tory benches. Jeremy Corbyn has said he is personally unconvinced of the wisdom or effectiveness of Britain adding a few more bombers to the mix. Cameron’s argument seems to boil down to the old adage of sucking up to the Americans, to preserve our “special relationship” delusions. Corbyn has called for Labour MPs to return to their constituencies and consult the opinions of members there. I’m unsure whether this is a sign of a new, more democratic form of UK politics or a failure of leadership. The British media have already decided it is the latter. My own take on this? Daesh is an unspeakably barbaric organisation that needs to be stopped somehow, ideally by starving it of funds. But, short of genocide, military intervention almost never brings lasting peace. The warring parties eventually have to sit down and talk through their differences. Of course, none of the above is true. It’s all fairy tales, isn’t it? Surely no one in the real world could be this stupid. Think Tanks? More Like the Thought Police! Key players in the dystopian world of George Orwell’s novel 1984 are the Thought Police. 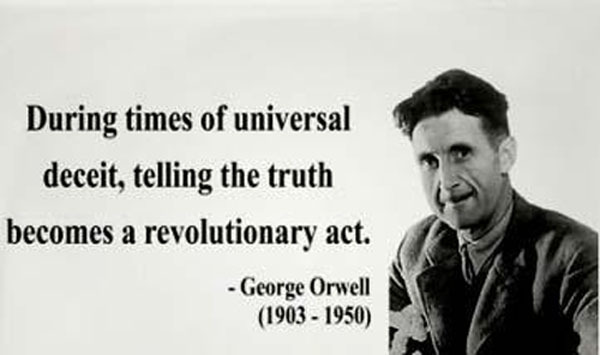 With the help of an army of willing informers and the Big Brother telescreens, the Thought Police are the means of ensuring nobody so much as thinks something out of line with official policy. In twenty first century Britain, the same ends are largely achieved in different ways. The obvious villains of the piece are those sections of the media owned by the super-rich and foreign or tax exiled proprietors. Chief executives of major corporations weigh into the debate also. But a significant part of keeping us on message is played by so-called “think tanks”, of which more shortly. First, let’s see how even the slightest deviation from the strict “free market fundamentalism” is policed – and fiercely so. For the majority of the post-war period, nearly all the views expressed by Jeremy Corbyn would have been seen as unexceptional and mainstream. But the FMFs have shifted the range of “acceptable” opinions (the so-called “Overton Window”) so far to the right, that it’s now easy to paint Corbyn as a radical leftie. The same happened to almost the same degree with Ed Miliband. Some recent examples illustrate my point. The right-wing press had a field day twice recently with things Corbyn didn’t do. The first was not singing the national anthem and the second was not bowing low enough at the Cenotaph. Closely related is the success of the “poppy fascists” in extending the period of compulsory poppy-wearing on BBC news and current affairs programmes to nearly three weeks. The underlying thought processes behind these campaigns is simply totalitarian and fascistic. Acclaimed writer Alan Bennett said much the same thing in a recent newspaper article. 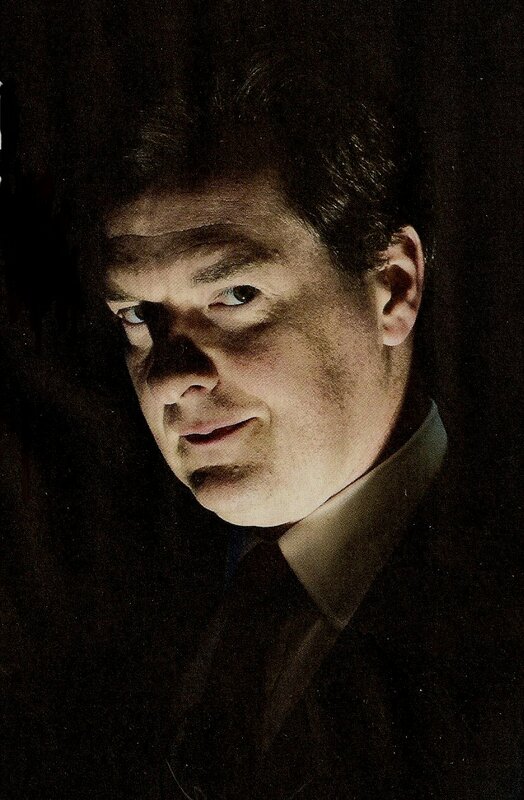 An equally sinister stance was taken by the chiefs of the utility companies against Ed Miliband in 2013. He proposed the modest idea of a temporary freeze on energy prices. (Most Britons support the much more “radical” idea of renationalising the gas and electricity firms.) The response was apoplectic. The head of Scottish Power threatened an investment “strike”, the trade body spoke of “energy shortages”. Centrica threatened to cease trading. Can anyone imagine a nationalised power company in the 1960s or 70s threatening to turn the lights off just because their prices were held for 6 months? The pattern of policing is always the same. Any minor dissenting statement is met with a shower of abuse, threats and forecasts of some catastrophe. Which brings us back to those ever-present pundits of modern political life, the “think tanks”. Think tanks come in all shapes and sizes: by no means all of them promote the FMF agenda. Well-known left-leaning think tanks include the Fabian Society, founded in 1884 with close – and openly declared – links to the Labour party and the IPPR (Institute of Public Policy Research). Think tanks conduct research, lobby parliament, fund events and provide spokespersons for TV and radio. Some of these bodies have bland, neutral-sounding names: the Institute of Economic Affairs (IEA), Policy Exchange, The Centre for Policy Studies. Their spokespeople are frequently appearing on BBC news bulletins and Radio 4 flagship programmes such as Today and The Moral Maze. All of the last group of think tanks promote a strongly right-wing small-state free market point of view. 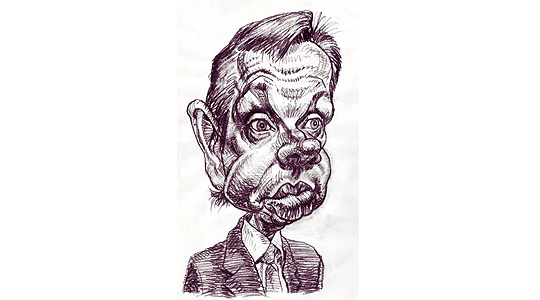 Several were founded by current and former Conservative politicians, including Margaret Thatcher, Keith Joseph and Michael Gove. 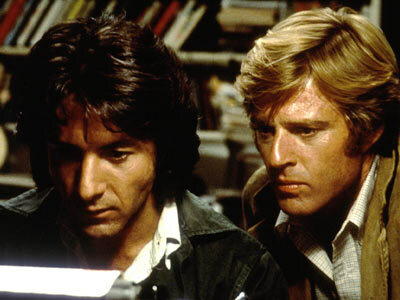 In the 1976 movie All the President’s Men, the lead characters used the dictum “follow the money” to find out what was going on behind the scenes at Watergate. What tends to characterize the right-wing groups, in addition to their bland-sounding names, is their lack of transparency about who funds them. A very useful organisation called WhoFundsYou? publishes an annual survey of the transparency or otherwise of the 20 best-known think tanks in the UK. They rank organisations from A to E, A being totally transparent and E being totally opaque. The 2015 rankings make interesting reading. The “good guys” rated A are: CentreForum, Compass, Demos, Fabian Society, IPPR, New Economics Foundation, Progress, Resolution Foundation, ResPublica and Social Market Foundation. All but two are left-leaning and the others liberal or centrist in outlook. The “really bad guys” rated E are the Adam Smith Institute and the Taxpayers’ Alliance, both strongly right-wing. Rated D (mostly opaque) are the Centre for Policy Studies, Centre for Social Justice, Institute of Economic Affairs and Policy Exchange. All are right wing – even the confusingly named “Centre for Social Justice” founded by Iain Duncan Smith and Tim Montgomerie of the Conservative Home website. In the middle two B and C ratings are Policy Network, Reform, Civitas and the Smith Institute. Do you spot a pattern here? It’s obvious: the more right-wing a think tank’s views are, the more obscure its sources of funding. To paraphrase the Home Secretary and heads of MI5 and MI6, if there’s nothing wrong, there’s nothing to hide. So, to turn again to the widespread opportunities for such organisations to get free airtime on the BBC. I think that the BBC Trust should issue a directive to producers that, unless an organisation meets a minimum level of funding transparency, its views should not be heard on the BBC. There will be times when the news item is itself as a result of a think tank’s activities: publication of a report, for example. In such cases, a suitably worded warning of caution is needed about the possible impartiality of the view expressed. Internationally, Britain’s ruling classes have a notorious reputation for secrecy. Cap-doffing deference survived well into the 1960s and echoes of this survive to this day. 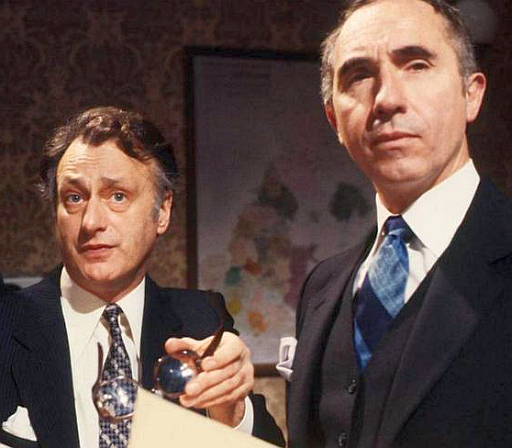 In a 1980 episode of comedy series Yes Minister, “The Right to Know”, Sir Humphrey Appleby says that “there are some things it is better for a minister not to know.” A good real-world example is the lack of transparency in royal tax affairs which survived until relatively recently. There was a strong rear-guard action to more transparency and some aspects are obscured from public view to this day. Unlike countries with written constitutions like the USA and France, the public’s “right to know” has been conceded only in the face of fierce resistance from the “establishment”. The Freedom of Information Act 2000, passed by the Blair government, is hated by politicians and civil servants alike. In July, the government announced a review likely to lead to a chipping away of people’s right to know. This culture of secrecy carries over into the world of the think tank. The international equivalent of WhoFundsYou? is called Transparify. Its 2015 report on think tanks makes interesting reading. It compares the degree of transparency in funding of think tanks grouped into 6 regions of the world. Transparify uses a slightly different scoring system, assigning 5 stars to wholly transparent funding arrangements, down to zero stars for totally opaque. Best overall is the USA, which has a long tradition of accountability and an average star score of 3.2. Next best is the EU, averaging 2.8 stars. However, a quote from the report says it all: “Taken as a group, British think tanks drag down the European average (2.0 stars versus 2.8 stars).” The EU average without the UK would be 3.1, close to the American figure. The spirit of Sir Humphrey lives on! So, why are think tanks so popular as fronts for individuals, political parties, businesses and organisations with an agenda? Think again of the Overton Window. If your aim as a politician is to implement policies based on ideas even further to the right, there may be a political backlash if you express your views openly. So why not use the think tank funded by you, your friends or your funders to push an outlandish view and to police the boundaries of acceptability – or to push the window even further right? So, see or hear the words “think tank”, think “thought police”. And memo to the BBC: No transparency, no airtime!! 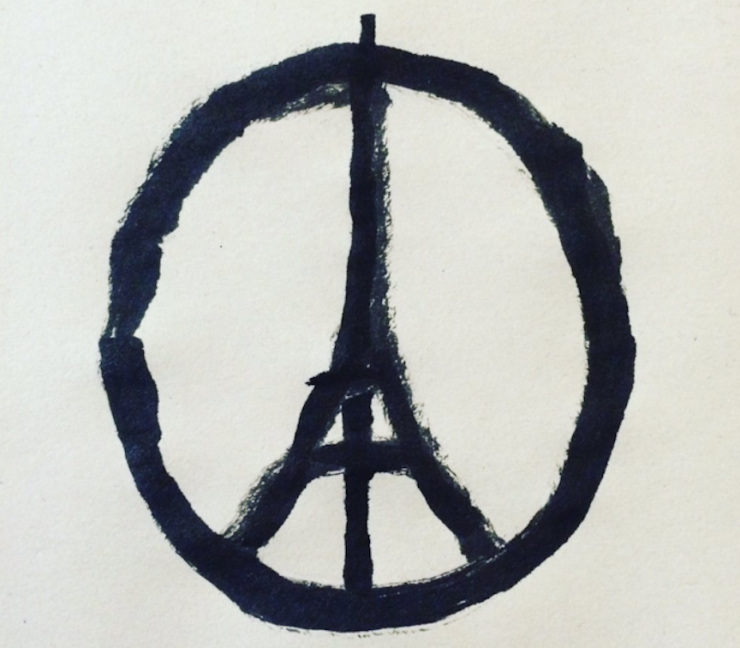 Francois Hollande’s headstrong language of war echoes earlier comments by George W Bush. Look where that got us. At least Barak Obama seems to have learnt the lessons of the recent past with more balanced, statesmanlike comments so far. With whatever it takes to overcome the psychopathic, murderously intolerant ideas of Salafist ideology, we must never forget one thing. Our ultimate goal must continue to be to build a world of peace, toleration and mutual respect. Hard to imagine right now, but we, civilised, humans must just keep on trying. We will stumble and deviate many times on the way. But together we must continue to search for a path to a better future. Our children and grandchildren deserve no less of us. I will firstly look at the false doctrine which has monopolised economics thinking for 35 years and then at the specific case of the thinking that caused the 2008 global crash. Neoliberalism – what I call free market fundamentalism – began to have an impact on Western political thinking, particularly in the US and UK, from the late 1970s. Its ideas began to take hold from work by Milton Friedman and others, drawing on Friedrich Hayek, at Chicago University. Chile, under the dictator General Pinochet, was an early practitioner of these ideas, with disastrous results for the majority of Chileans. The ideas then took hold in Western governments, in influential bodies such as the World Bank, International Monetary Fund and World Trade Organisation. Central to the new doctrine was the rejection of Keynesian economic ideas, the supremacy of the free market, lower taxation and reduction in the role and scale of government. The scale and frequency of major economic crises increased. It’s obvious to me that this 35-year experiment actually failed with the crash of 2008, but government and other key institutions have carried on as if nothing wrong has happened. University departments have been teaching this doctrine as if it were the only way to run an economy. This has led to students from several universities holding protests demanding that their syllabuses are widened to explain the 2008 failure and to include teaching rival economic theories. The only motive human beings have in making (economic) decisions is the pursuit of material self-interest. Not so: see my earlier post Being Human II: The Four Cs, or as highly-regarded Cambridge economist Ha-Joon Chang puts it: “… we have many other motives – honesty, self-respect, altruism, love, sympathy, faith, sense of duty, solidarity, loyalty, public-spiritedness, patriotism and so on” from 23 Things They Don’t Tell You About Capitalism (2010). Market participants (companies, individuals) know what they are doing, i.e. they make rational decisions. Again, to quote Chang: “The world is very complex and our ability to deal with it is severely limited”. A trivial example is people queuing at a busy bus stop so that everybody doesn’t have to remember the order in which people arrived. 1978 Nobel prize-winning economist Herbert Simon wrote about “bounded rationality”, which describe how people’s ability to make rational decisions is severely restricted when faced with complex problems. Government regulations, the notorious “red tape”, work by restricting choice and simplifying problems, reducing the risk that things may go wrong. As we saw in part 1 of this post, it is possible to build great cathedrals and great intellectual arguments on false assumptions. The same applies to the advocates of free market fundamentalism. The next section illustrates the crucial example which led to the 2008 global financial crash. Gillian Tett is a highly respected journalist for the Financial Times. She has a PhD in social anthropology from Cambridge University. She wrote the book Fool’s Gold in 2009. She uses her anthropologist’s insight to tell the story of the group of highly intelligent, innovative bankers who invented the complex new financial products which led to the 2008 crash. The story starts in Florida in 1994, when a group of J.P. Morgan employees held a conference to develop ideas to develop the market in derivatives. These are complex products which “sit on top” of traditional loans and mortgages. But these traditional products are bundled up and repackaged in a way in which they can be sold again in a different form which, on the face of it, reduces the risks of default. These clever people worked out that at this bundling and repackaging process could be repeated and re-sold. Banks could then earn commission several times over on ever-more complex products based upon a given set of “real” assets (e.g. property). The whole scheme involved complex mathematical models using the ever more powerful computers becoming available. There was one problem, however. In a certain set of highly unlikely circumstances, there was a risk of huge losses derived from assets worth a fraction of the money at stake. But the computer programs which produced the figures for the products did not contain any way of expressing this small risk. The risky circumstances were so unlikely that J.P. Morgan and subsequently all its competitors launched these new products and made a lot of money. Actually, there was another problem. Once everyone in banking had jumped on the bandwagon, nobody other than the original group understood about the tiny risks. Neither did the financial regulators. In other words, nobody selling the products knew what they were doing. But – wait for it – there was a third problem. Those tiny risks weren’t as tiny as the original clever people thought. Most people who’ve looked at the workings of markets will have heard about “bulls” and “bears”. These exemplify the lemming-like behaviour of market traders when sentiment changes from optimism to pessimism. (A good example is when, in 2010, George Osborne falsely compared the UK economy to that of Greece). When the markets got themselves into one of these spells of irrational behaviour and everyone started selling, the whole house of cards fell down. Matters were saved from getting much, much worse by the intervention of those institutions so hated by free market fundamentalists: national governments. This means that the original clever people got their models wrong. So deregulation – leaving markets to themselves – is crazy when they don’t make rational decisions: they don’t know what they’re doing! So people don’t behave like Hayek and Friedman said they do. And the only people who have benefited from continuing the pretence are the super-rich, large corporations and the politicians who represent them. By linking together this and my previous post, my overall point is that it is possible to build a very sophisticated logically consistent set of ideas (and real objects like cathedrals) based upon false assumptions. Other obvious examples are the Tea Party movement in the USA and our own UKIP. Modern communications makes it easy for like-minded people to network their ideas for mutual reinforcement, untroubled by inconvenient truths. These towering “castles” can look very impressive. They can bring great joy and comfort, for example, in my “magical” Lincoln moment. But they can also bring tremendous grief and pain – think of murdering pro-life extremists in the USA motivated, ultimately, by the loopy idea of “ensoulment”. The more impressive-looking these “castles” become, the more likely people are to believe the whole package of ideas is true. But if real foundations don’t exist, these are no more than castles built on sand.